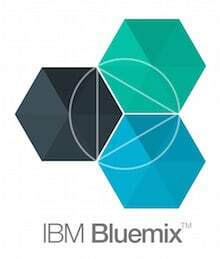 Prize includes 3 months of access to IBM Bluemix platform, plus 30 hours of support from Developer Evangelist. Crowd-source prize awarded by developers to the best example of an SFO-based mobile app using APIs from sponsors and freely availble APIs and other information. A weekend travel hackathon? At an airport? To build cool stuff and win cash and other prizes? That's right ... THack @ SFO brings together developers and travel APIs from leading technology and travel industry organizations to re-invent the traveler experience. We will award prizes totaling more than $5,000 for the best digital apps, tools and services that are based on proprietary APIs offered by sponsors Amadeus, Sabre and SFO and any other open APIs and web-based information. Hack projects must be coded web-based or mobile applications, created by either individuals or team. 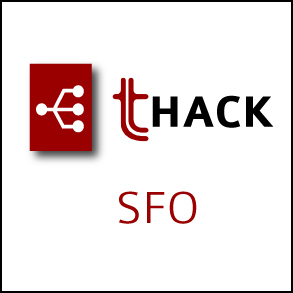 Participants must register on Eventbrite at https://thacksfo2015.eventbrite.com and will receive more details after registration. Particpants must be 18 years of age or older. Two categories of participants: small teams (individuals or 2 mmbers) and large teams (3 to 5 members maximum). Projects must solve at least one of the four travel challenges offered by the organizers. Projects must be coded and functioning applications for web, mobile, wearable or other digital platforms. It's easy to enter: just visit our Eventbrite link at https://thacksfo2015.eventbrite.com. Pre-registration is mandatory, as space is limited to 100 developers. (25% of score) Must solve one or more of THack @ SFO challenges. (25% of score) Project demonstrates new and original thinking in digital applications for travelers. (25% of score) Project is an example of working code for a web, mobile, wearable or other digital application. (25% of score) Project is presented as a clear idea, solution to a travel problem or pain point and understandle as a minimum viable working prototype.